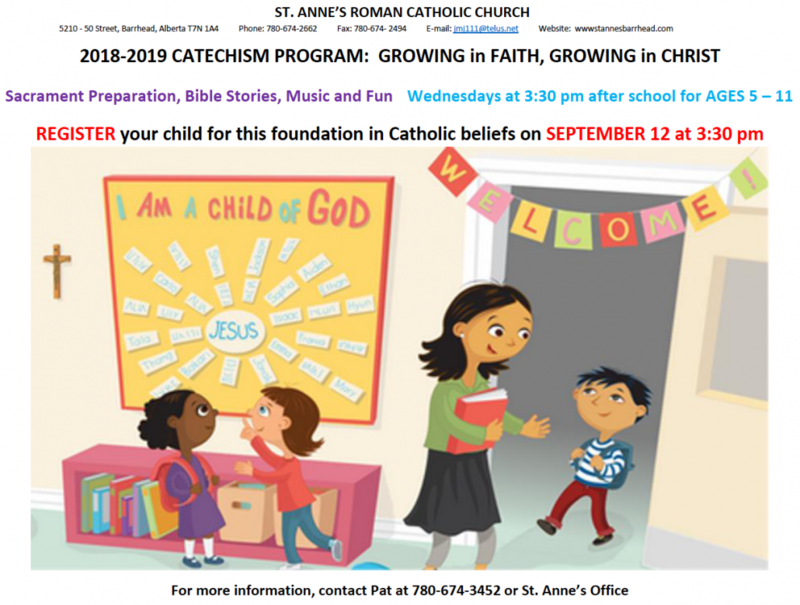 St. Anne’s Catechism program supports families in their children’s development of faith, helping them to nurture an understanding that God is present in their life and their family. The priest and lay parishioners clarify beliefs and values introduced in the home and serve as role models for students. Lessons throughout the Growing in Faith, Growing in Christ program follow the cycle of the liturgical year.